The Occupational Safety and Health Administration has updated its Recommended Practices for Safety and Health Programs guidelines. 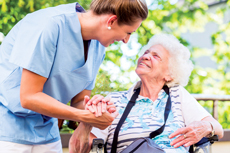 The release is intended to help senior living operators and other employers establish a methodical approach to improving safety and health in the workplace. “We know that working together to implement these programs will help prevent injuries and illnesses, and also make businesses more sustainable,” said Assistant Secretary of Labor for Occupational Safety and Health David Michaels, MPH, Ph.D. The first update since 1989 targets seven general areas: management leadership; worker participation; hazard identification and assessment; hazard prevention and control; education and training; program evaluation and improvement; and communication and coordination for host employers, contractors and staffing agencies. OSHA noted that the guidelines are not new mandates. Rather, they can be implemented to suit a particular workplace in any industry.